John Thomas with Primary Residential Mortgage reviews the Mortgage Bond Chart to provide advice on whether you should lock or float your mortgage rate. Mortgage Bonds continued to sell off last week but bonds did find a floor of support to end the week. Mortgage bonds may be affected by something called the “Leash” effect. 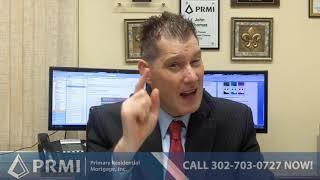 Watch to find out how this will affect mortgage rates. Find out how Existing home sales, Housing Starts and Building Permits came out last week by watching the video.